Would you like to be on page 1 on Google? Begin with the privilege SEO Backlinks and Keyword Research! I WILL SPY ON YOUR COMPETITORS PROVIDING DEEP ANALYSIS, KEYWORD RESEARCH AND UNVEIL ALL THEIR SEO BACKLINKS THAT MAKE THEM OUT RANK YOU. 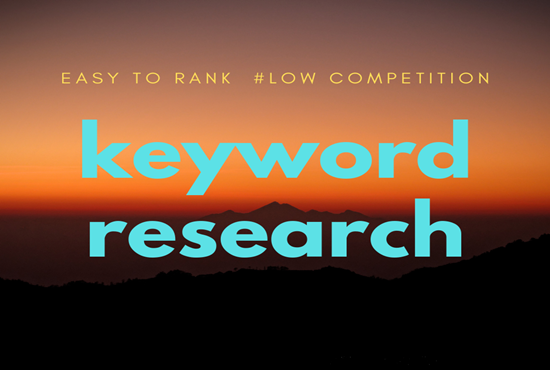 We will make a thorough keyword search to find the best kws for your niche and location.